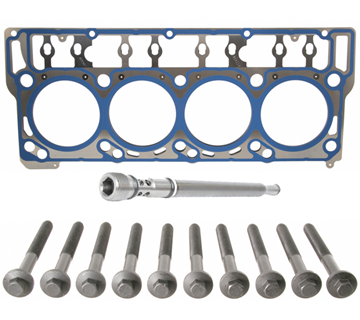 Whether you’re looking for an original equipment part or a high-quality, vehicle-specific replacement part for a Ford or Lincoln, we have you covered. 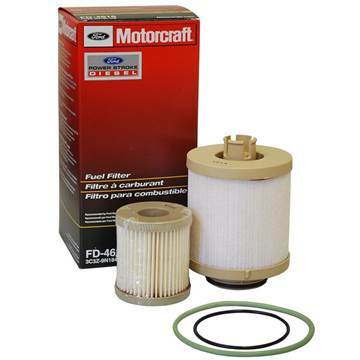 Every part found on this site comes recommended by Ford Motor Company and features the trusted Ford Parts or Motorcraft® brand name. You can learn more about the specific benefits of any of our product lines here. You’ll find that no matter what you’re looking for – from air-conditioning compressors to wiring pigtail kits – you’ll find the right fit for a Ford or Lincoln. This is a brand new OEM replacement diesel fuel injector for your 2008 - 2010 Ford 6.4L Powerstroke. 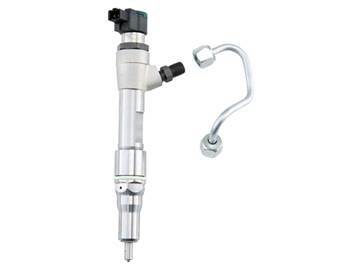 Comes with new injector line that attaches to the injector. 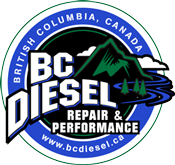 A refundable $250.00 core charge applies to each injector. 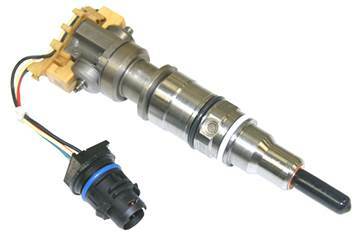 This is a brand new OEM replacement diesel fuel injector for your 2003 - 2004 (early) Ford 6.0L Powerstroke. A $250 core charge will apply to each fuel injector. 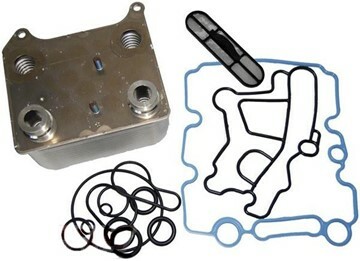 This is a brand new OEM replacement high pressure fuel pump (HPFM) for your 2008 - 2010 Ford 6.4L Powerstroke. A refundable $300.00 refundable core charge will apply. Comes with all recent design updates. 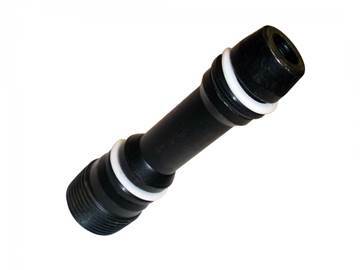 This is a brand new OEM replacement High Pressure Pump Connector with Snap-To-Connect fitting for your 2004 - 2007 Ford 6.0L Powerstroke. 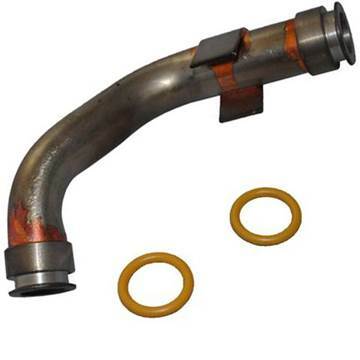 It is designed to support the branch tube and eliminate the possibility of the fitting to become separated. 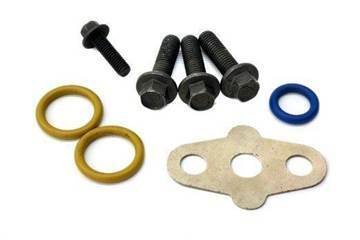 An OEM replacement High Pressure Rail Plug (Dummy Plug) for your 2004 - 2007 Ford Powerstroke 6.0L. This is the updated design which includes the white PTFE washer/seal. 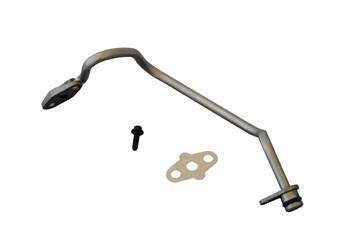 This is a brand new High Pressure Stand PIpe for your 2003 - 2007 Ford 6.0L Powerstroke. This is the updated design which includes the addition of a white PTFE washer. 2 required for each engine. 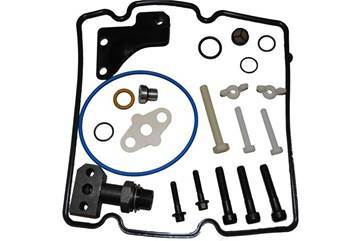 This is a brand new updated OEM replacement oil cooler for your 2008 - 2010 Ford 6.4L Powerstroke. Comes with gasket and there is no core charge. 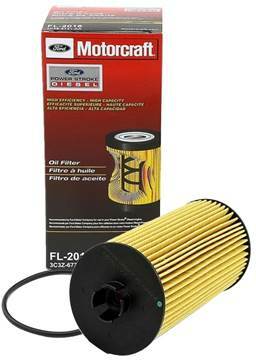 This is a brand new factory OEM oil filter for your 2003 - 2010 Ford 6.0 / 6.4L Powerstroke. This is the same filter that your truck rolled off the factory floor with. 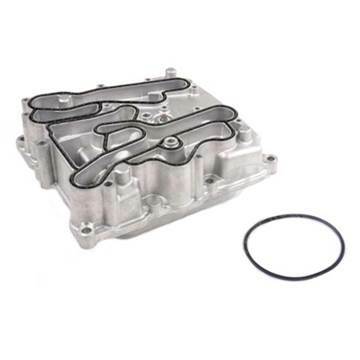 This is a brand new OEM replacement oil cooler kit for your 2003 - 2007 Ford 6.0L Powerstroke which includes all of the major updates made to the filter screen to reduce Oil & EGR cooler failures.